Fruit shakes and smoothies are a great way to get some vitamins and calcium into the kids, while keeping them hydrated in the summer – and they taste great too. Children will go for these rather than a sugary can of pop anytime. A blender or liquidiser of some kind makes things easier, although it’s not essential for all fruits. Kids tend to prefer ‘no bits’ of course, in which case a blender is a godsend and saves the hassle of pushing fruit through a sieve and whisking for hours. It’s also worth considering buying a juicer. It opens up a whole range of fruit and vegetable juices that can’t easily be bought in the shops or cost a small fortune (plums, peaches and raspberries come to mind). Market stalls often sell off ripe fruit at the end of the day at knockdown prices, which are perfect for juicing – so it can be very economical too. For a healthier version, try lower fat milk or low-fat ice-cream (or frozen yoghurt). Or go for a smoothie instead! All these fruits work well by themselves too. Try experimenting with spices like cinnamon and nutmeg to give them a big of zing. 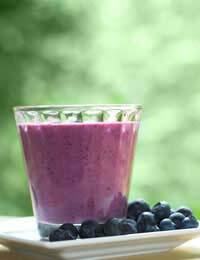 A smoothie is a like a shake without the ice-cream – so they’re less thick and more thirst-quenching. There are many variations on the basic recipe. Some have milk, some have yoghurt; others are completely dairy-free. But they’re all deliciously refreshing!